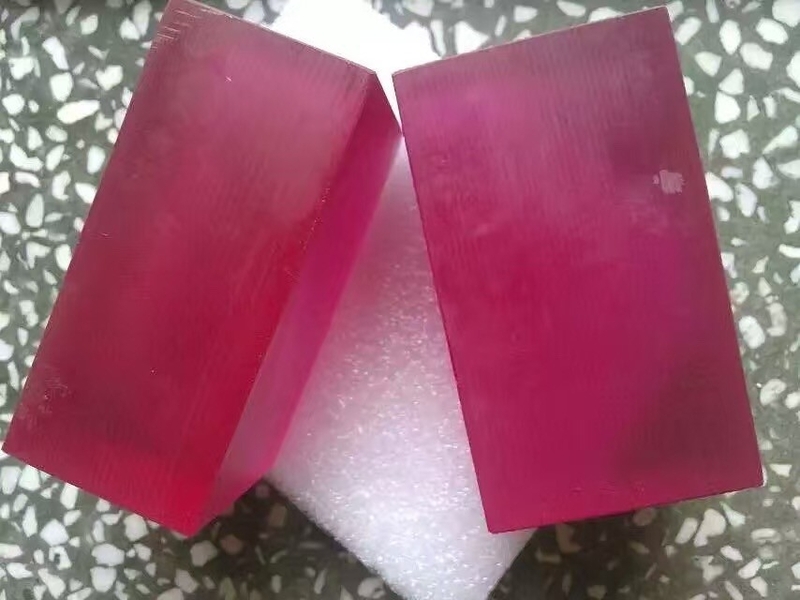 Titanium doped sapphire(Ti3+:Al2O3) is widely used for tunable lasers and femtosecond solid-state lasers.It was first used as a gain medium in 1986, and till now, it is still the best material for ultrashort pulse generation. 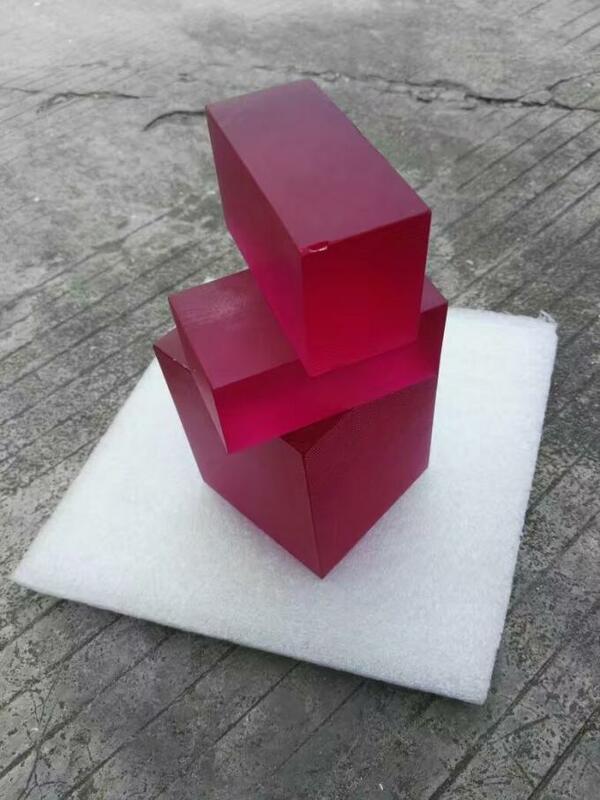 The substrate-sapphire has good physical and optical properties. 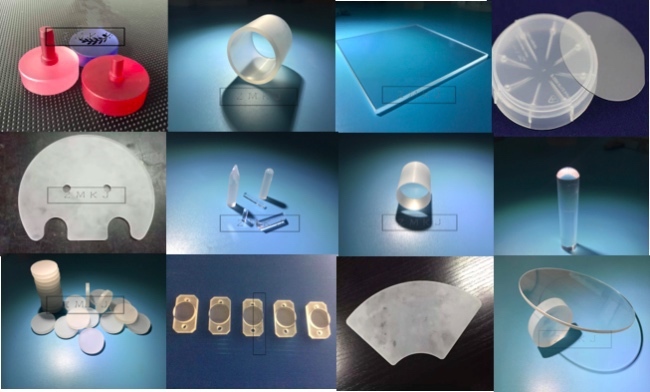 High thermal conductivity and good alleviating thermal effects provide the usability for high power laser. • Sapphire (monocrystalline Al2O3) has an excellent thermal conductivity, alleviating thermal effects even for high laser powers and intensities. • There is also a wide range of possible pump wavelengths, which however are located in the green spectral region, where powerful laser diodes are not available. 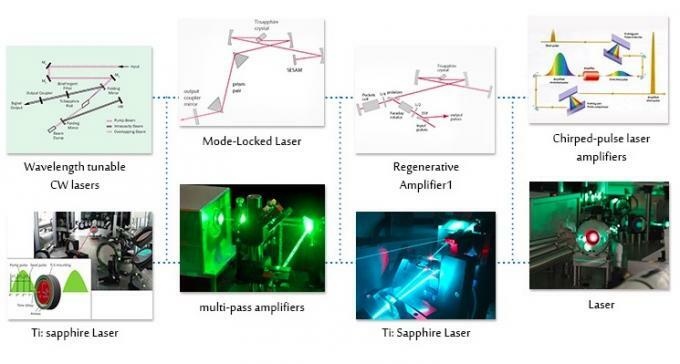 In most cases, several watts of pump power are used, sometimes even 20 W. Originally, Ti:sapphire lasers were in most cases pumped with 514-nm argon ion lasers, which are powerful, but very inefficient, expensive to operate, and bulky. Other kinds of green lasers are now available, and frequency-doubled solid-state lasers based on neodymium-doped gain media are widely used. The pump wavelength is then typically 532 nm, with a slightly reduced pump absorption efficiency compared with 514 nm. • The upper-state lifetime of Ti:sapphire is short (3.2 μs), and the saturation power is very high. This means that the pump intensity needs to be high, so that a strongly focused pump beam and thus a pump source with high beam quality is required. • Despite the huge emission bandwidth, Ti:sapphire has relatively high laser cross sections, which reduces the tendency of Ti:sapphire lasers for Q-switching instabilities. with different concentrations are available for specific customer requirements. Usually we will arrange the shipment within 7 to 25 days. 3. How about the validity of the products? Usually, we provide Commerical Invoice, Packing List, Bill of loading, COA , and Origin certificate.